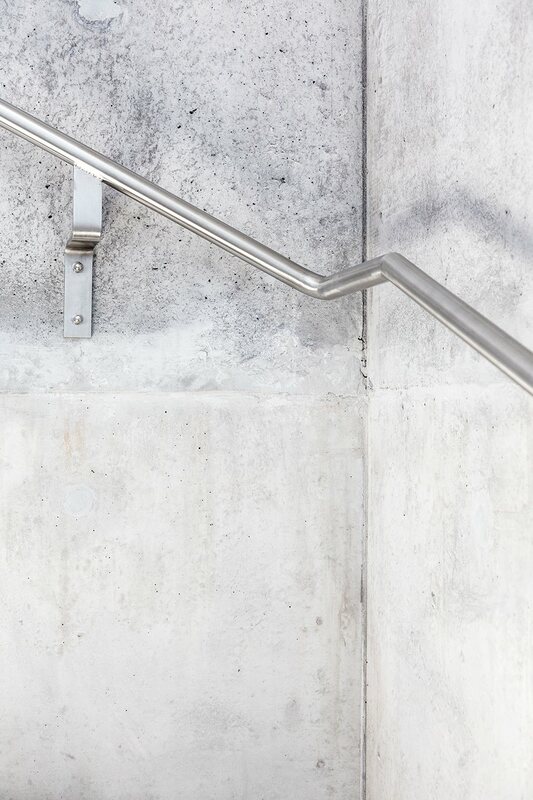 Stainless steel handrail on the concrete stairway. Project Rüthi in Switzerland, designed by Schneider Türtscher Architekten. Photographed by Johanna Muther.